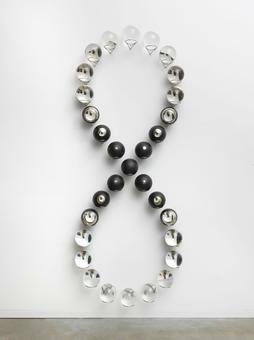 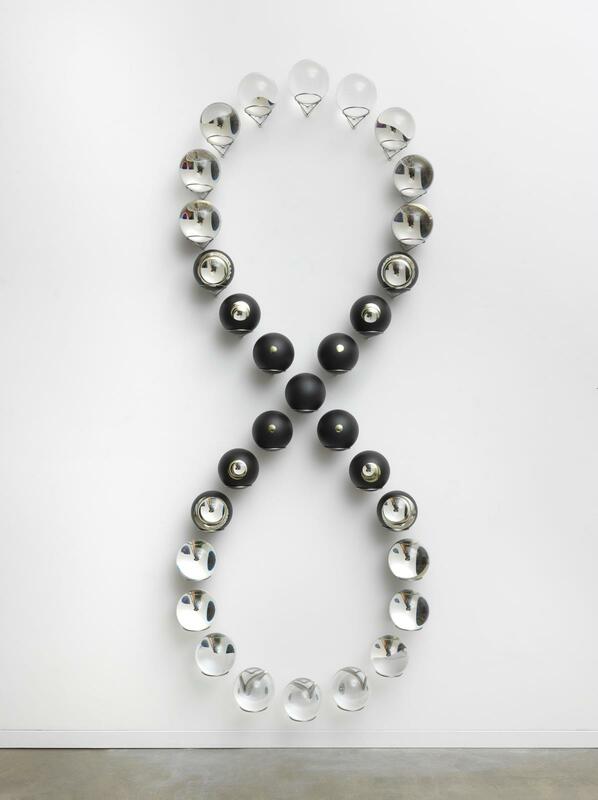 In Your forever young sunrise, 31 glass crystal spheres are attached to a wall and arranged in a figure eight. 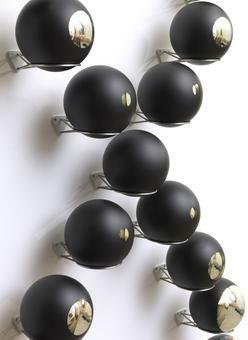 Through a hand-silvering process, the spheres’ surfaces have been given a mirror finish, over which a black paint has been applied. Between the fully transparent – and thus non-reflective – spheres at the figure eight’s zenith and nadir and the fully painted sphere at the figure’s centre, the mirroring grows progressively from sphere to sphere: first as a small circle at the centre of the sphere’s far side, then slowly consuming the surface until all that remains is one small aperture into the spheres. 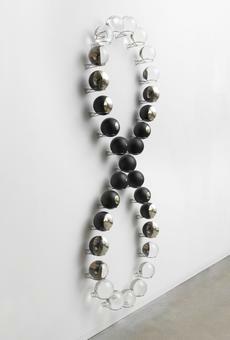 As the viewer’s eye traces the infinite curve of the arrangement, she encounters distortions of her own reflection, of the surrounding space, and of the sphere’s infinitely replicated interior. 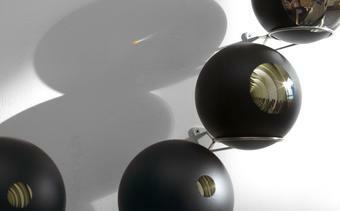 Together, the spheres constitute an optical device in metamorphosis.